Ogre saw a dragonfly hanging out in our rock garden yesterday, but the flighty insect had flown away by the time I rushed outside with my camera. 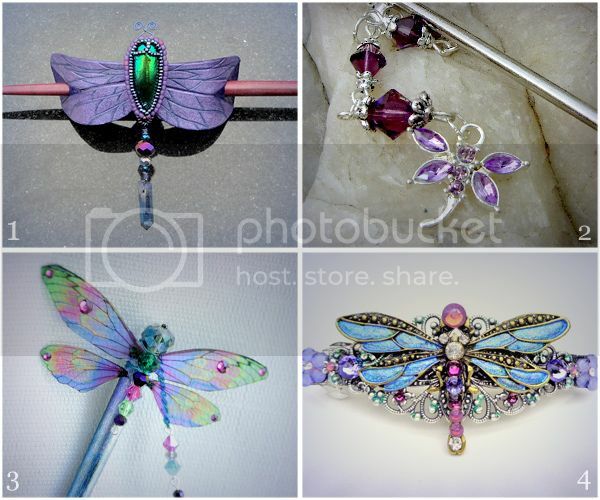 I've yet to capture a single dragonfly photograph, but handmade dragonflies are easy to catch on Etsy. Just don't let them go - delightful dragonfly hair accessories like these won't sit atop shop shelves forever. We have a nice dragonfly leaving in our garden. It is huge and it has big dark spots on her wings. I have not seen such wings before! Wow! 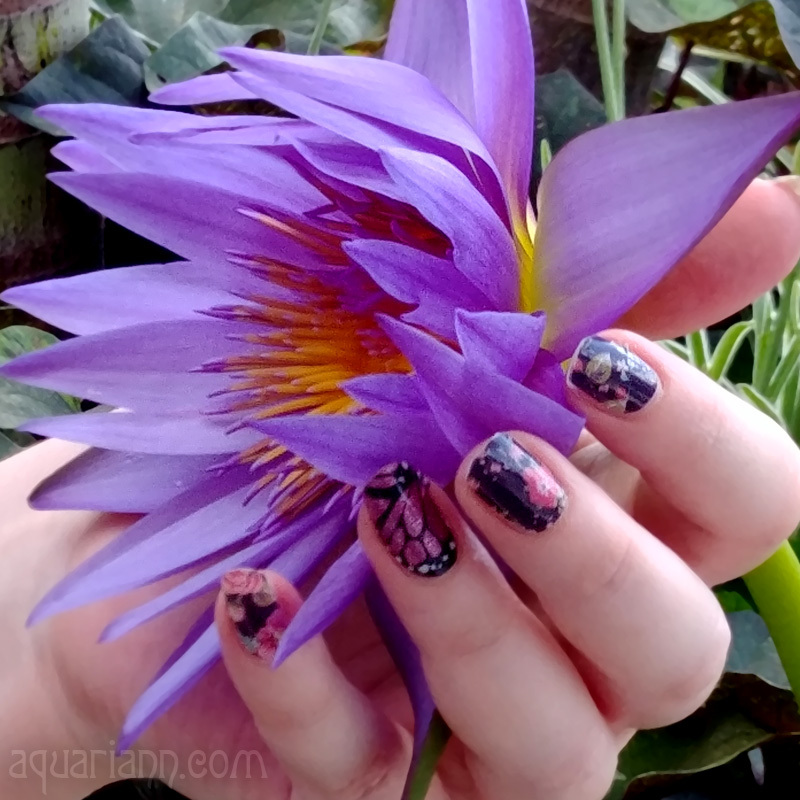 These are really gorgeous (and colorful!) finds!! Beautiful. I've used dragonflies in a lot of my jewelry. They're really inspiring, aren't they? my goodness..they all are so cute..and purple is my favorite color :)..thanks for sharing them..
First you share butterflies (which I love), and now dragonflies (which I love as well!). I was so excited to get a photo of one in my backyard a few weeks back, but it turned out blurry. They are so fascinating. Your dragonfly hair accessories are simply lovely. This makes me wish I hadn't chopped off all my hair. Just gorgeous, who would not want one of each! Really pretty. I love the iridescence of dragonflies.